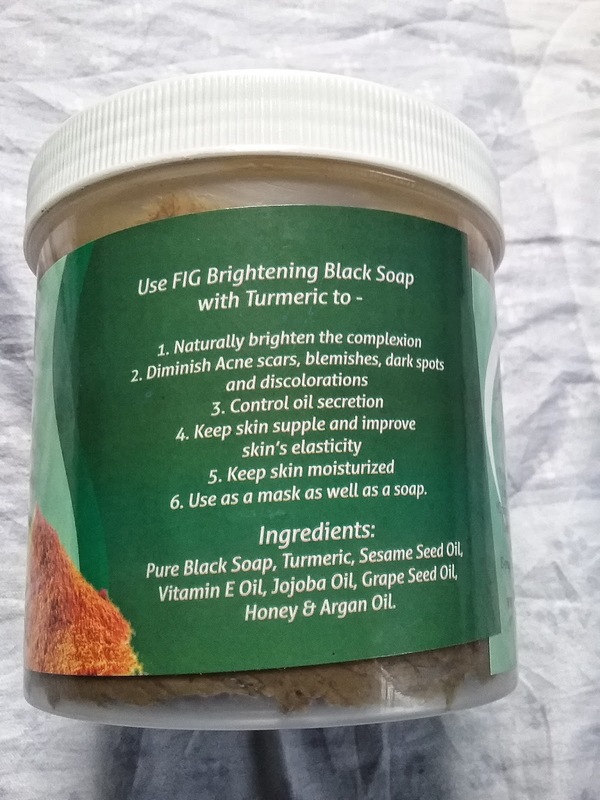 PRODUCT REVIEW: FIGHEALTH BRIGHTENING TURMERIC BLACK SOAP. Its another new week! And i believe you all had a wonderful weekend! 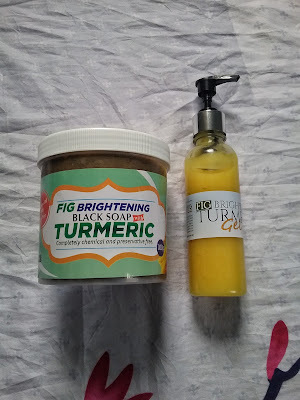 OK lets talk about the Fighealth Store Turmeric black soap that i have been longing to try out for so long! Yessssssssss!!! 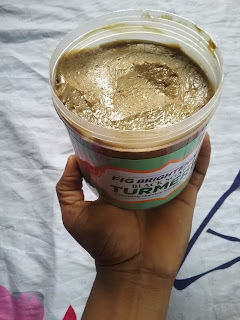 I was skeptical about buying this brand of black soap because i have had my own share of the black soap Experience irrespective of the good stories that comes with each of these soap! I have a very sensitive skin so i always find it very difficult to try out new beauty products because when i do, it is either they start an acne war zone on my face or they dry out my skin unnecessarily. But with all the good reviews i have seen from users on Fighealth Instagram page, i went straight to ordering the soap before i change my mind oh. 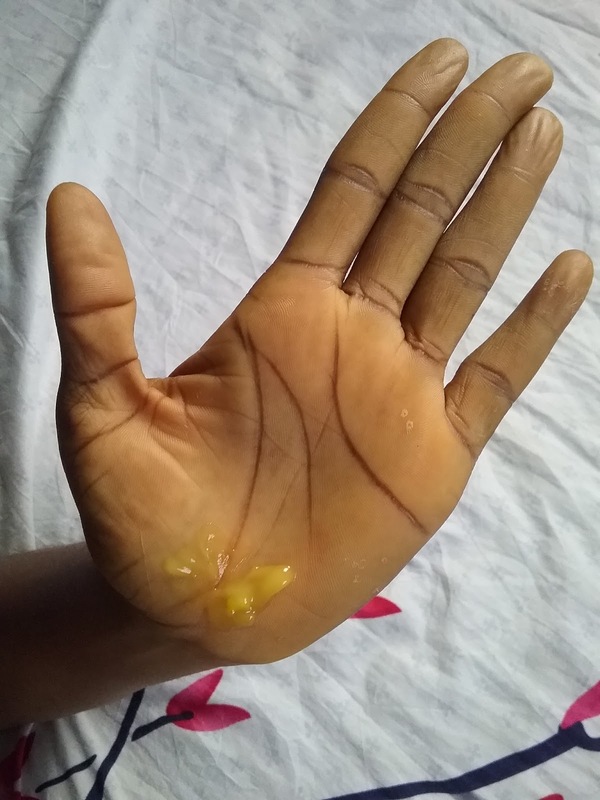 The soap is of two types, the regular type that contains coconut oil and egg but also needs to be refrigerated at all time and goes for 4,500. The second type is for sensitive skin and does not contain either coconut oil or egg but goes for 5,000 and also does not require being refrigerated. What does this soap do? It is said to naturally brighten the skin complexion, diminish acne scares, blemishes, dark sports and skin discolorations, control oil secretion and improve skin’s elasticity. I ordered that of the sensitive skin to avoid stories that touches the heart lol. I didn't just order the soap alone, i also ordered their moisturizing gel which i read is loaded with 💯 Turmeric, Aloe Vera and other oil which has lots of benefits for the skin. The gel goes for 4,350. The soap weighs 700g which is an indication that it will last for a long while, to avoid melting mine in the cause of using it, i scooped a little out in a container and kept the rest. 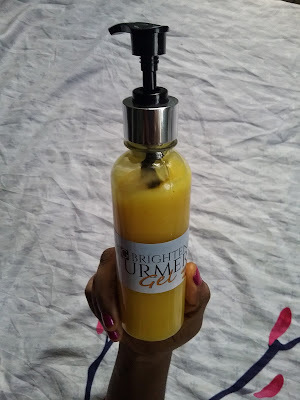 while the gel came in a 250ml bottle that has a head pump making it user friendly. As little as what i have below goes a long way so you do not need much. 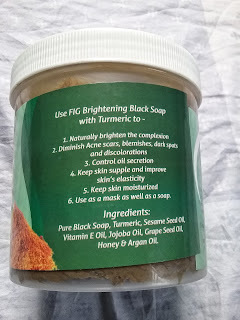 Below are a list of the key ingredients of the turmeric black soap and gel, i doubt if any other ingredient was left. but i can confidently tell you that am in my 9th day of using the soap and gel, yet no breakout hmmmm for this alone, its a 👍👍for them. This alone got me. Initially i wasn't too ok with the soap as it washes my skin clean, i felt like its stripping my body of it's natural oil because the previous soap i was using didn't have that kind of effect but then i got used to that feeling after a while. I also noticed that a pea size of the black soap lathers enough so you do not need much to wash your body. But i will still need to use this product for at least a month before i can give a proper updated review of the soap to tell you if there has been any visible improvement on my skin as regards helping fade the acne scares on my face. I no say no be magic soap but lets see how it goes. When next i order this soap, i will ask that extra oil be added to it since i have the choice of customizing it at the point of purchase because i really want that extra moisturising effect. Will i be buying this soap again? Yes because its 💯 organic. PS: Please this is not a sponsored post mbok!!! 😀 but my honest opinion of this brand of black soap. Have you ever tried this brand of black soap? Share below what changes you noticed or your experience while using the soap. It didnt really work for me but who knows if it will work for you. Am still going to do an update on this product. Today i will be talking about the Abebi Organic Turmeric black soap. Abebi Organic is an indigenous upcoming brand that specialize in Skin and Hair care products. They focus on creating their products with 100% natural Shea butter base products. Ok back to the topic. 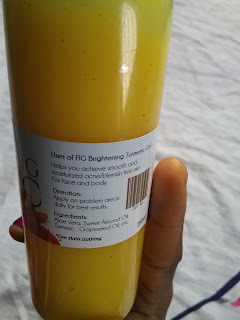 i stumbled on a review of Abebi turmeric face scrub Here while looking for good organic products i could use to brighten up my face a little because i noticed my face was always looking darker than the rest of my body and my friends were always complaining, this slay mama thingy ehh na wah sha. We must slay the skin by force sha lol. Hope you all are having a wonderful time, because mine has been stressful but fun. i have been up to a lot of good things and am grateful to God for his grace. Yes i know i haven't been consistent with my blog but am believing God to do better. I haven't been to the riverine area of Rivers State that requires crossing over to the another island with a ferry since we relocated from Bonny Island to Port Harcourt town at the age of seven (7). So it was mad fun traveling for my Bestie's traditional marriage. It was truly an adventure for me!!!! Congratulation to Queenth and David!